I just replaced some compact fluorescent screw-in type bulbs with these Stonepoint Model GGL-50, 55W, 4400 lumen LEDs from Northern Tool and I'm very impressed so far (lifespan? To be determined...). If I read your question correctly, I think what you are trying to get is the lumens per watt. 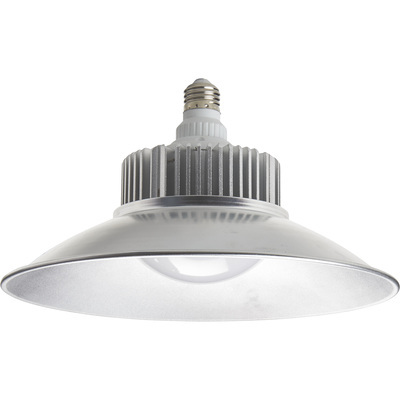 For this bulb it is 80 lumens/W. I would think that you would want to compare this number to the area covered, to get lumens/sf, and then compare that to the desired brightness for the task.